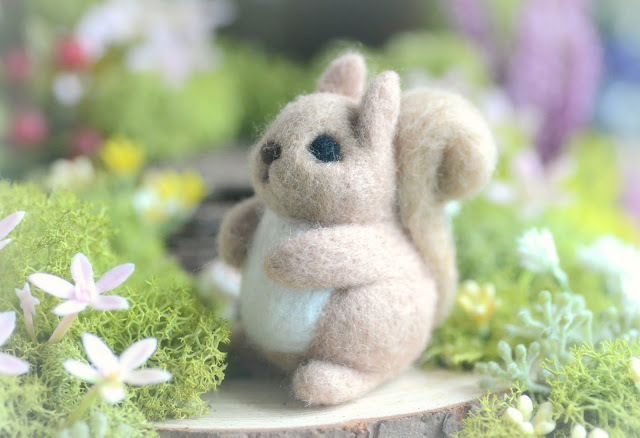 I am a handcraft maniac. 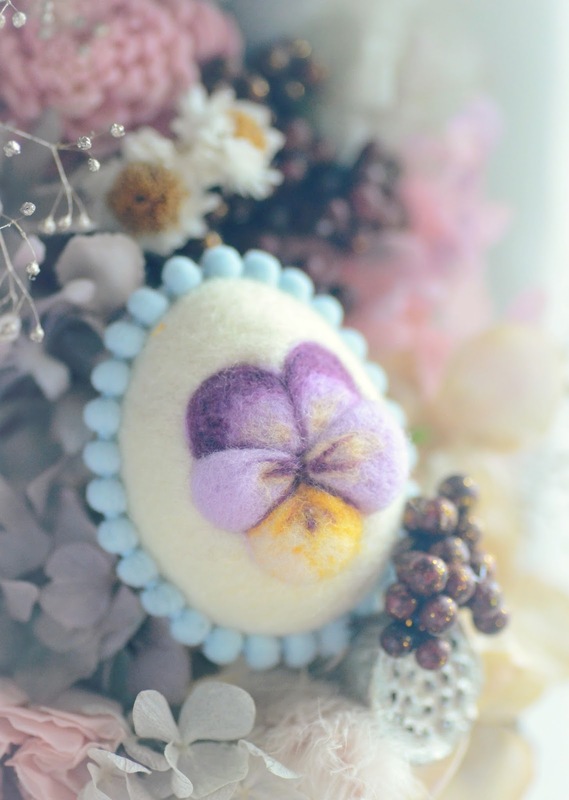 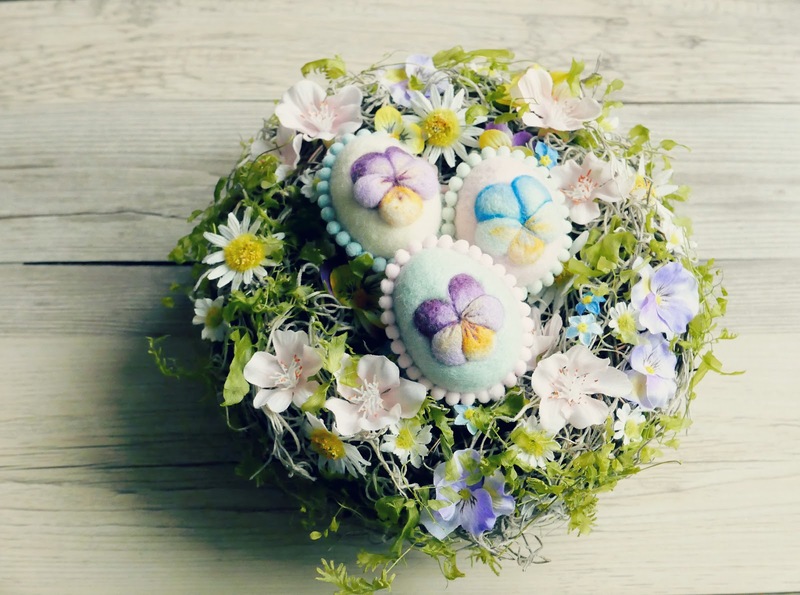 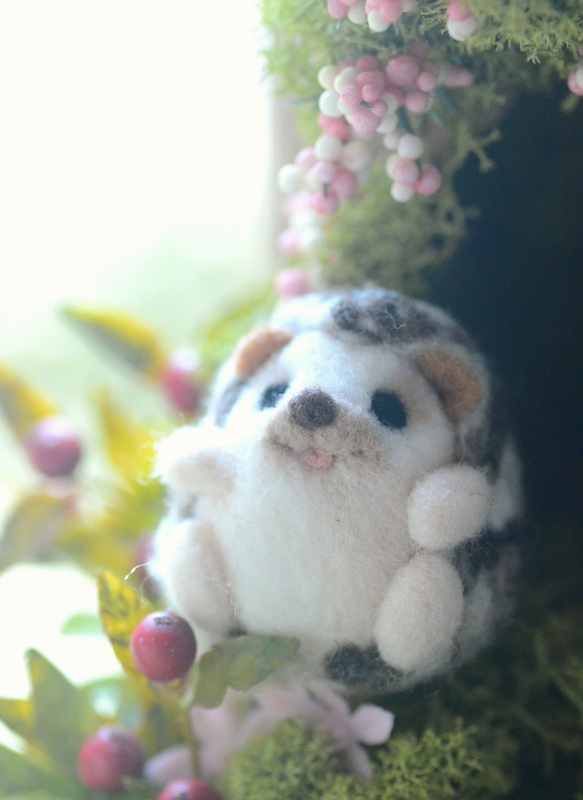 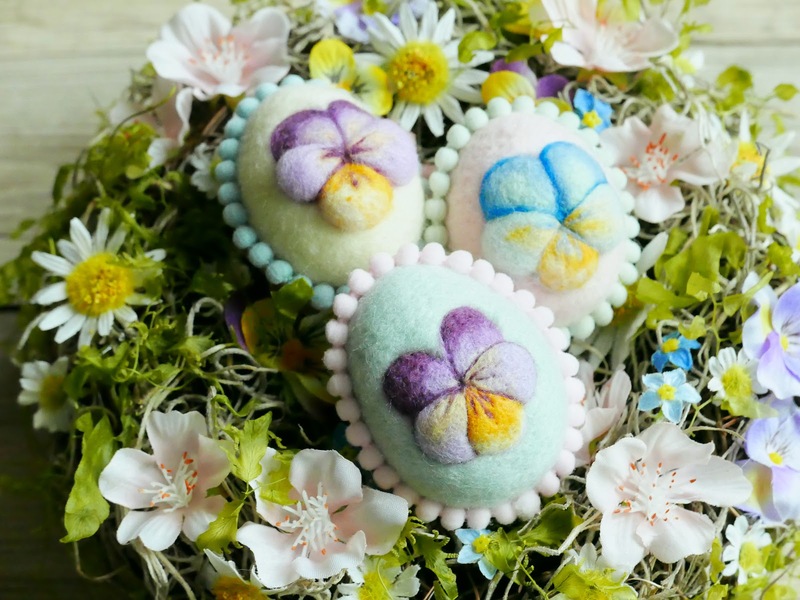 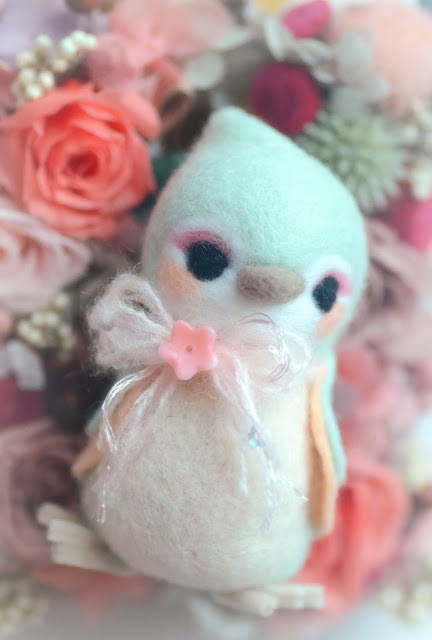 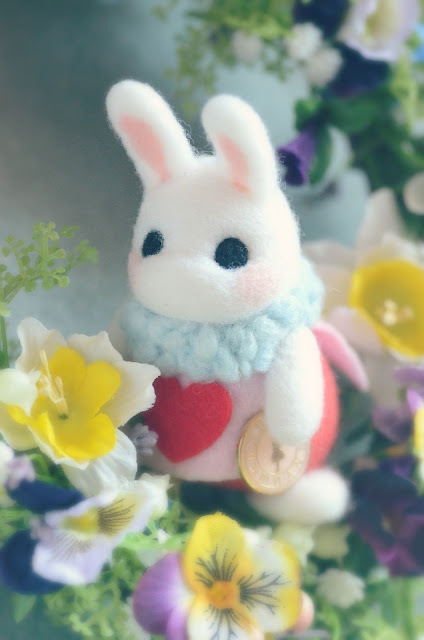 I am felling in love with needle felting, beading, photography, drawing, clay pastries and miniature making. 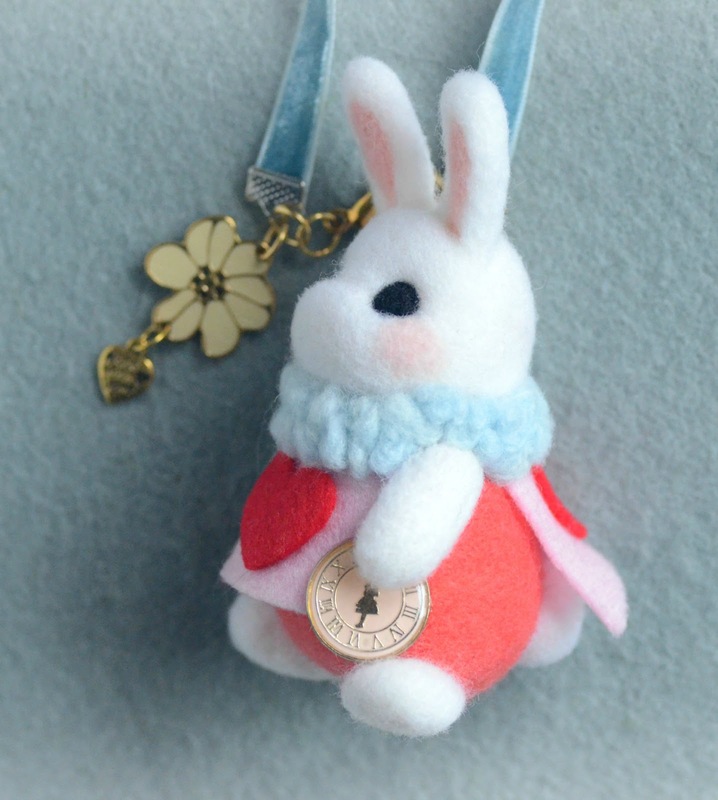 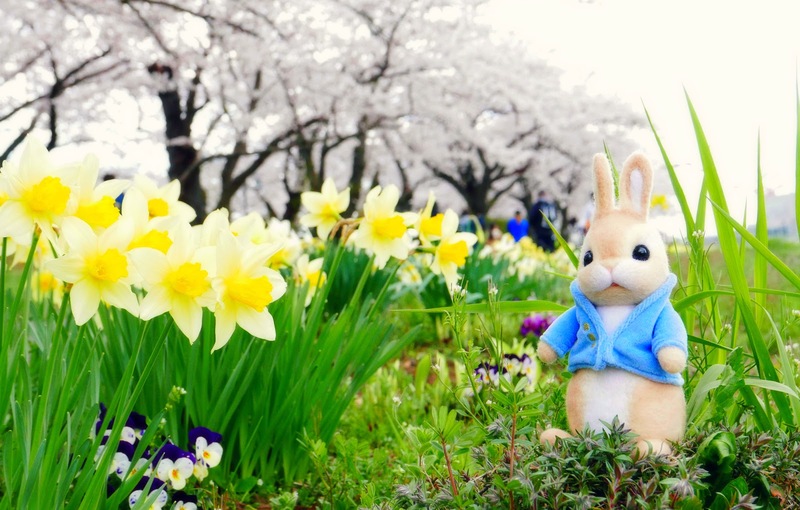 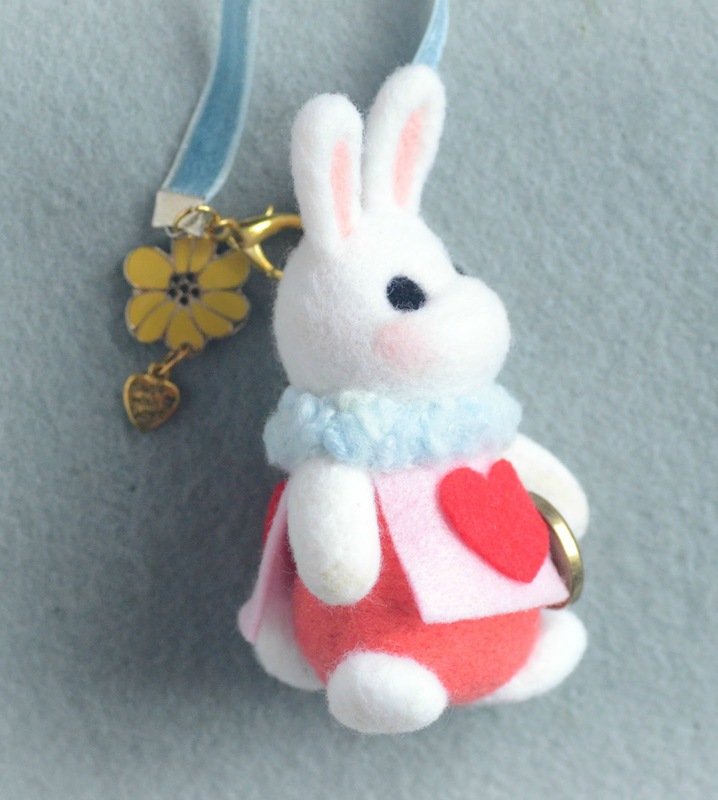 I brought my Peter Rabbit to Japan, I took him to Kitakami (北上) for the famous cherry blossom festival. 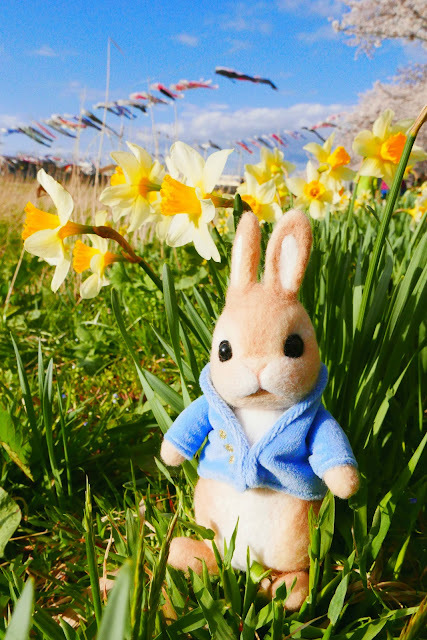 Both me and Peter Rabbit were so excited to see so many flowers and fishes in the air! 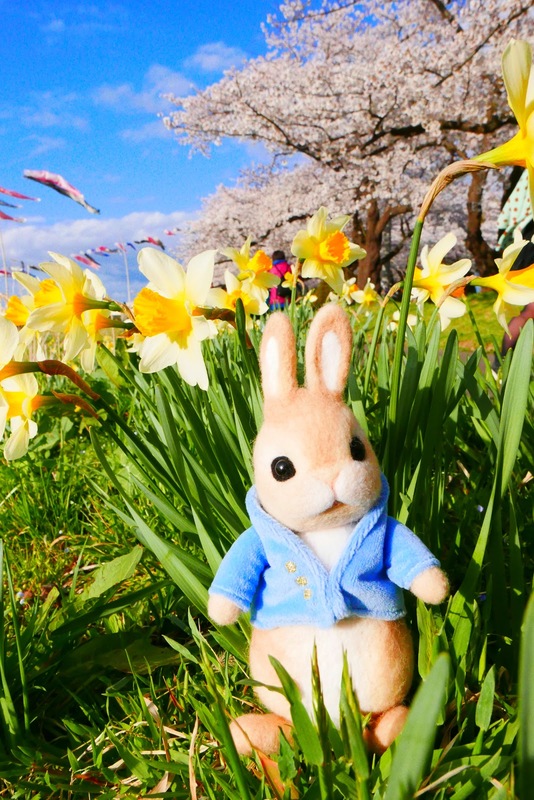 Peter Rabbit loves the flowers in the park. I think the colors of the park match very well with his jacket. 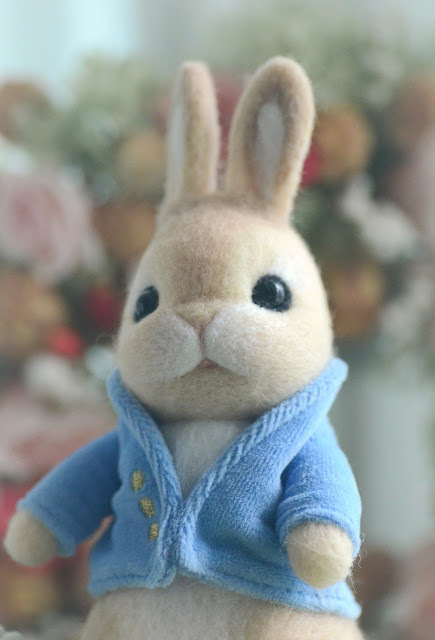 I love Peter Rabbit very much. 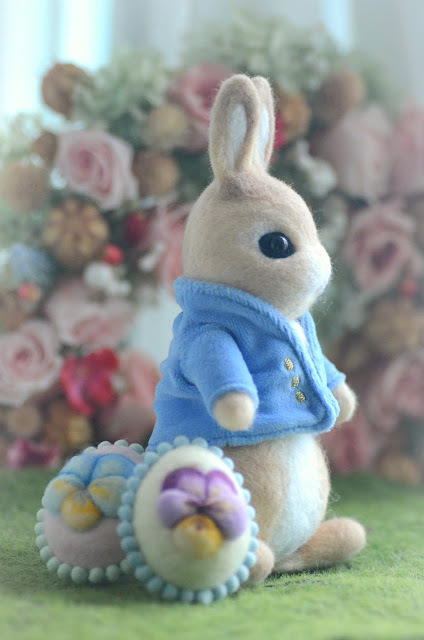 I love all works by Beatrix Potter. 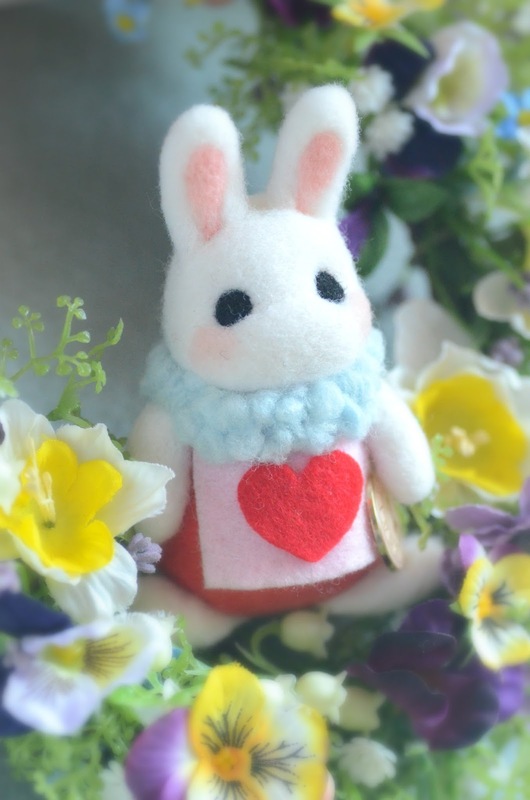 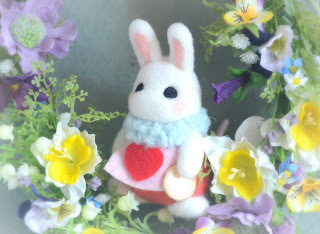 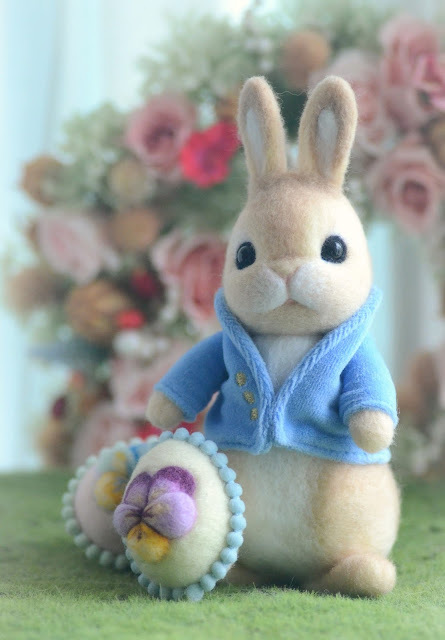 During the Easter holidays I created my version of Peter Rabbit using needle felted wool. 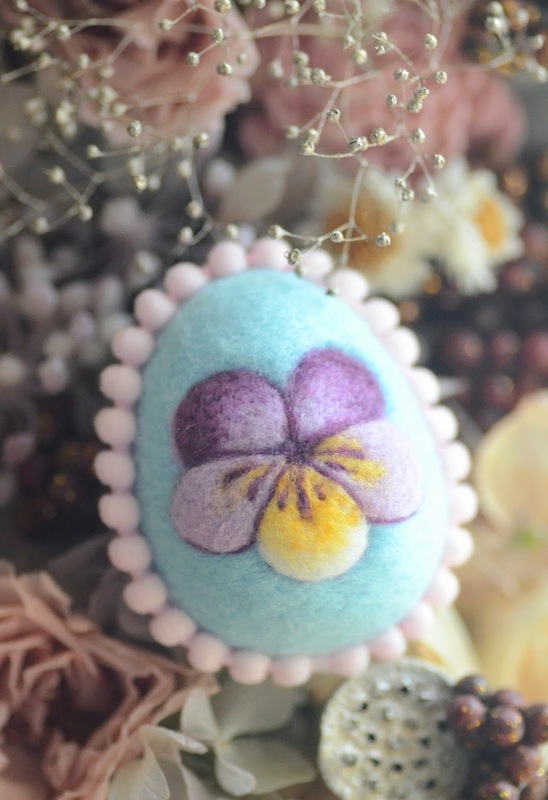 Easter always makes me think of pansies, I think pansies match with Easter eggs perfectly. 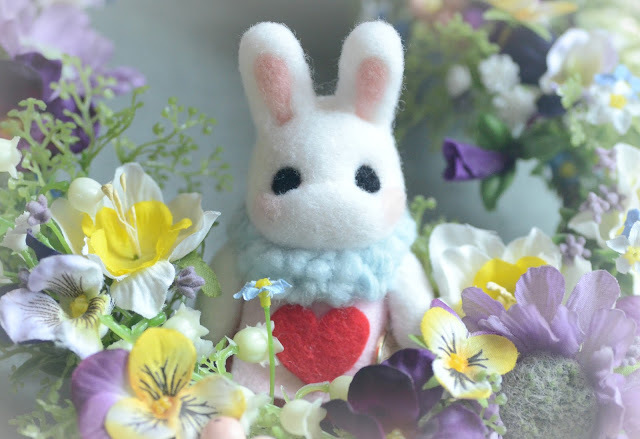 They look so lovely together. 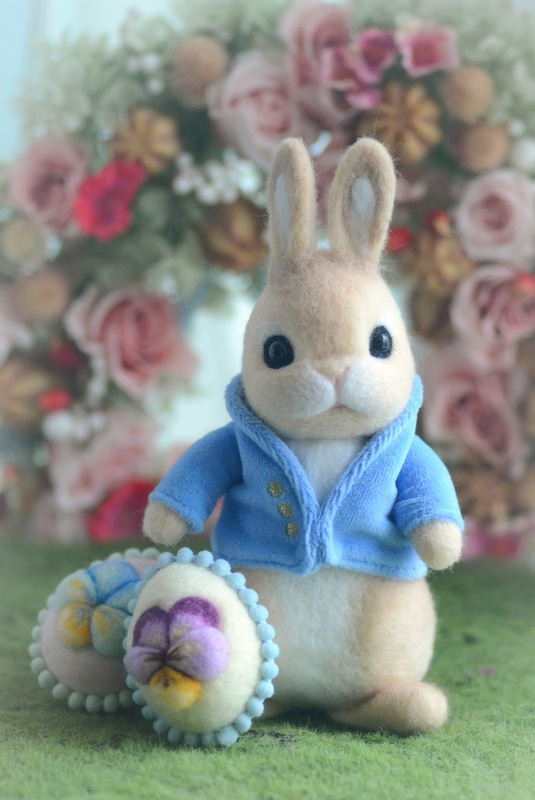 Easter is just round the corner. 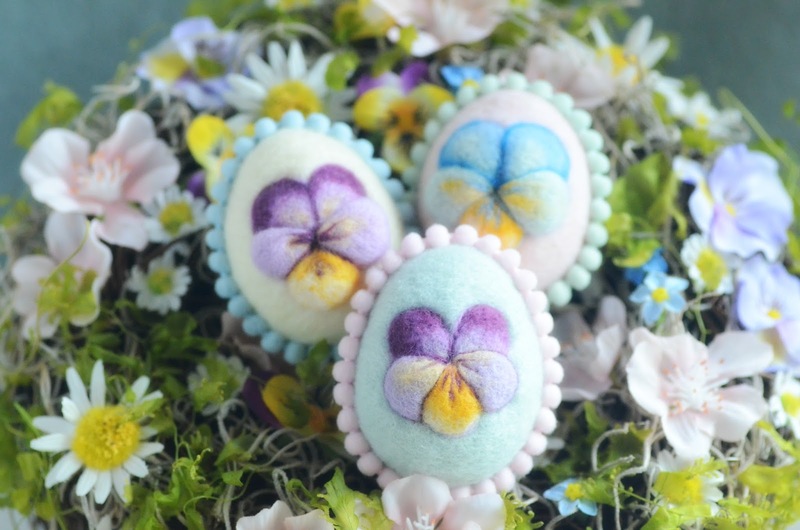 Time to decorate my home with Easter eggs. 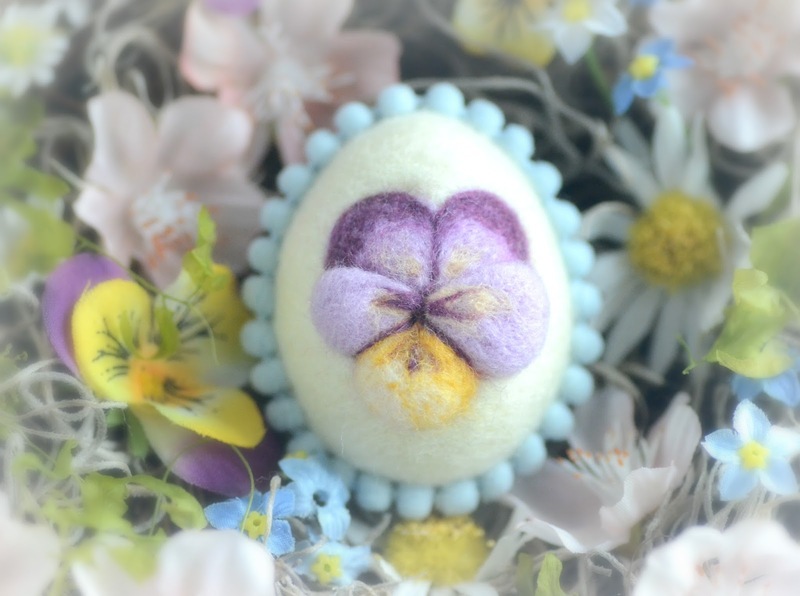 These are Easter eggs I've made recently. 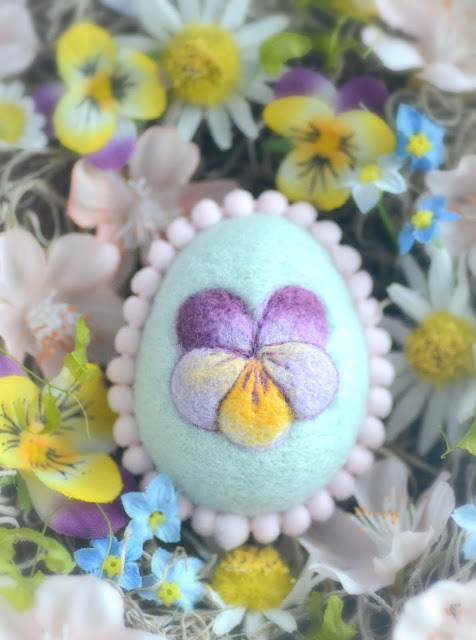 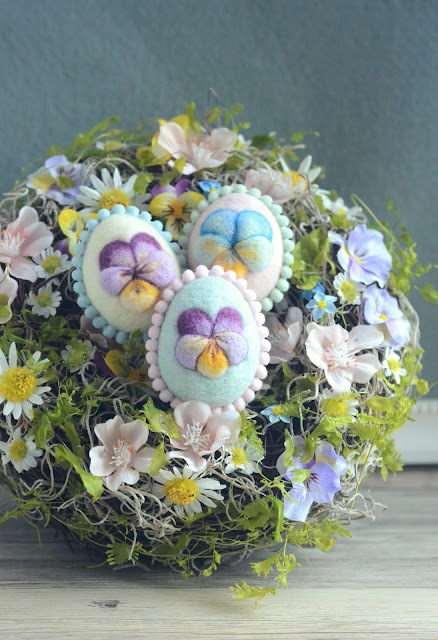 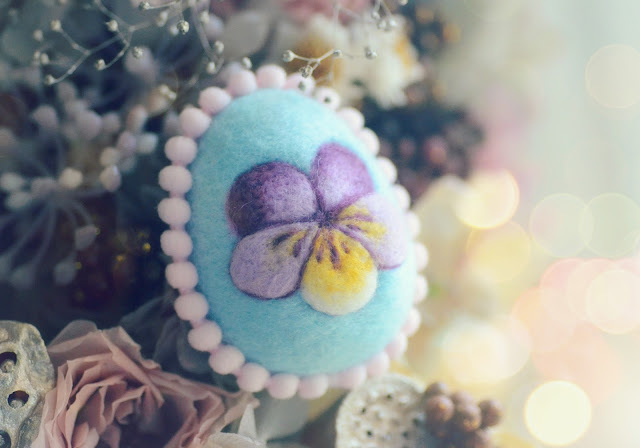 I think pansy motifs are perfect for Easter eggs. 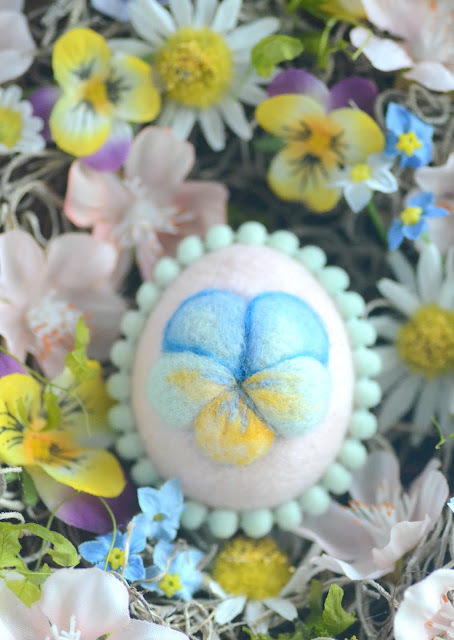 Easter eggs look nice with a nest, I've made a nest which matches perfectly with my eggs. 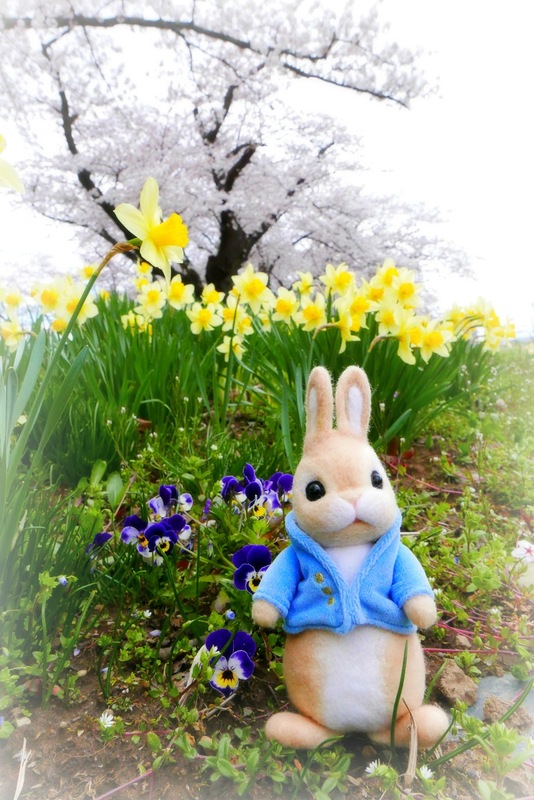 Finally it's spring! 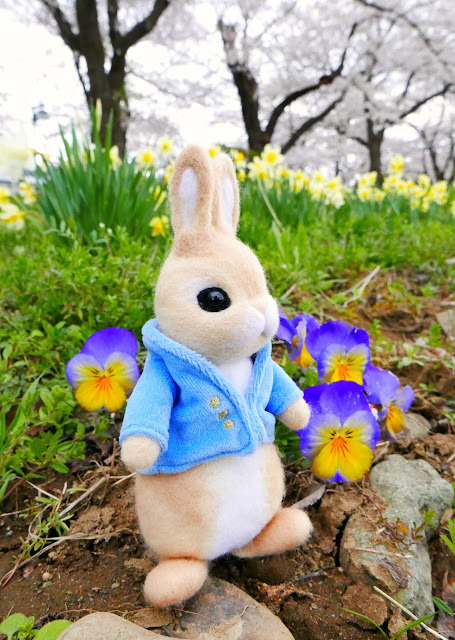 Flowers start to bloom, everywhere is filled of colors again. 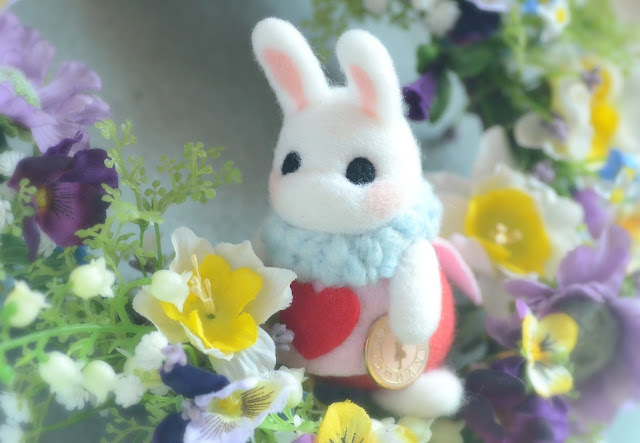 Mr. Rabbit is checking the flowers in his wonderland. 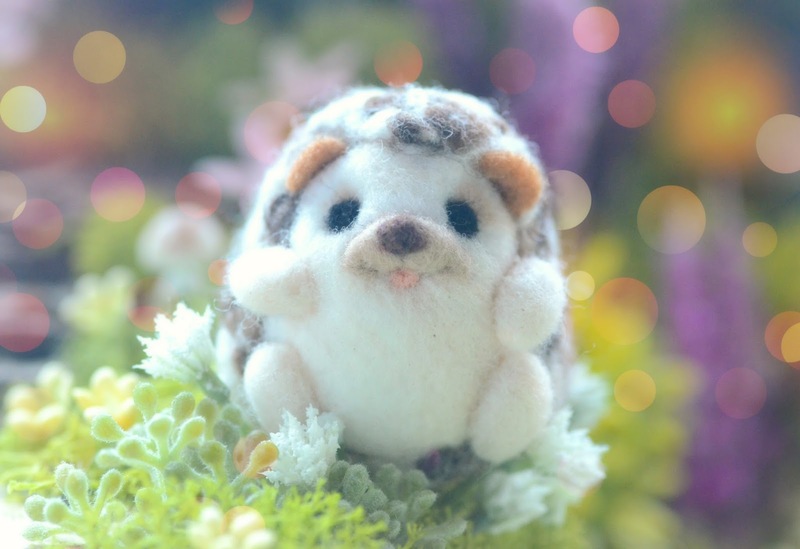 Hedgehogs are really special animals. 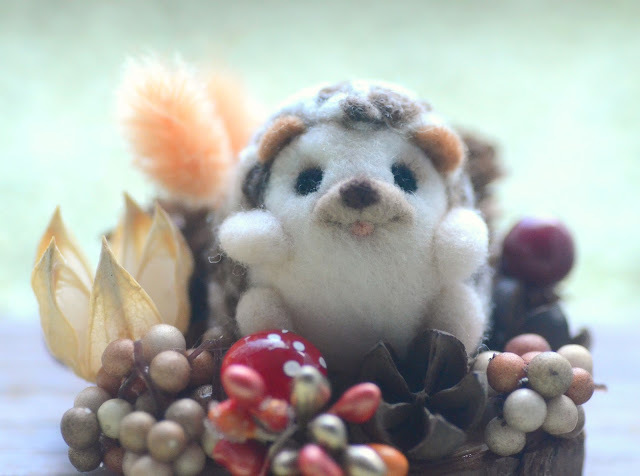 Their bodies are full of spines, yet their faces look so docile. Their movements and their looks are so cute, such adorable creatures! 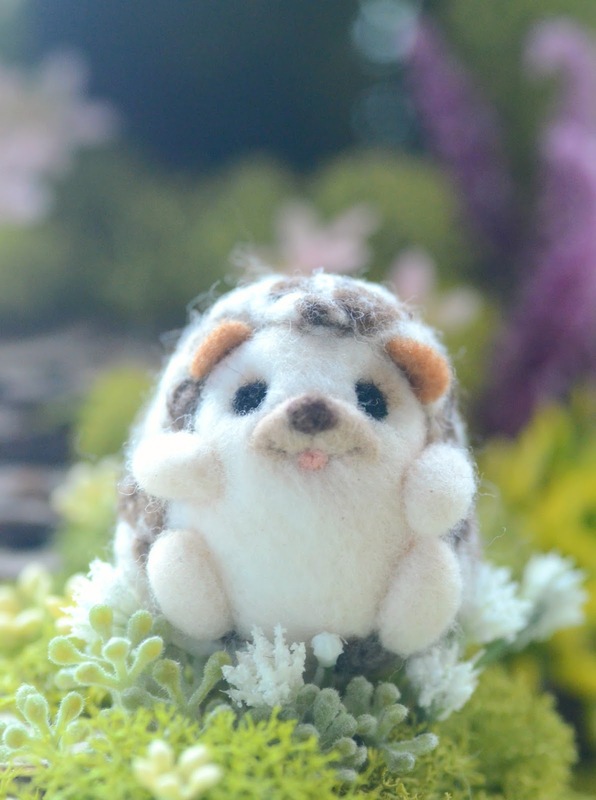 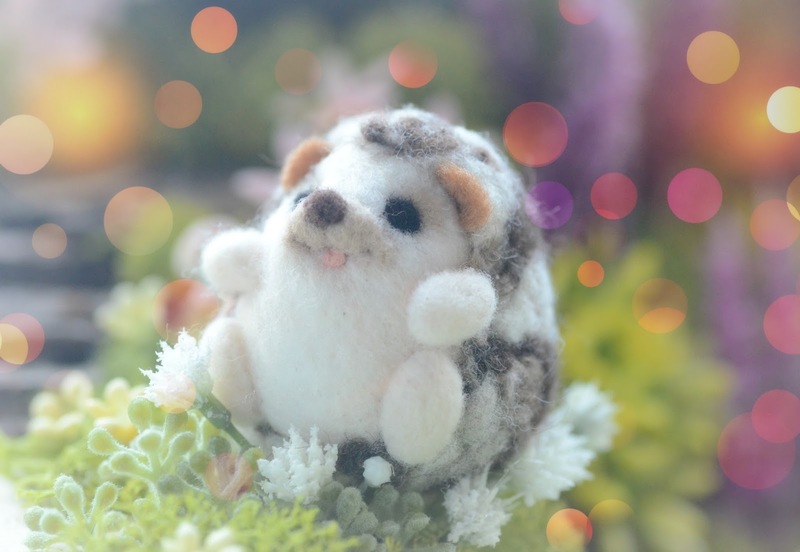 This is the first time I tried to make a smiling hedgehog. I'm really in love with this little guy. 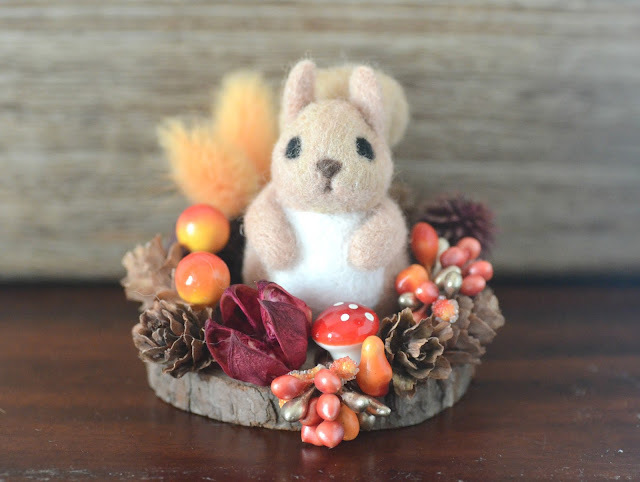 It's September! 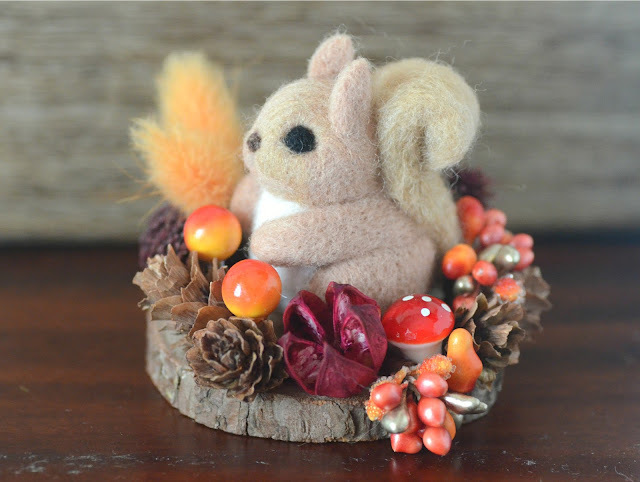 Autumn is coming, I love the colors of the fall season. Autumn always reminds me of woodland animals and pine cones. 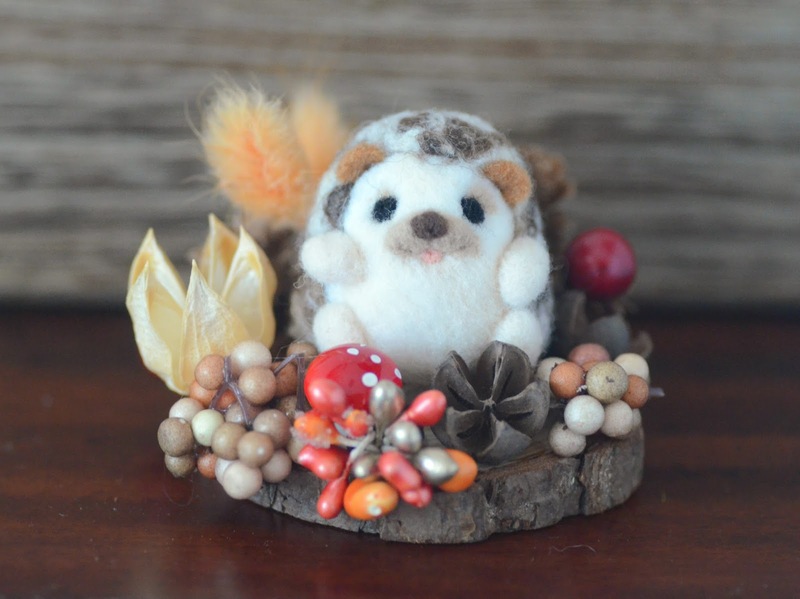 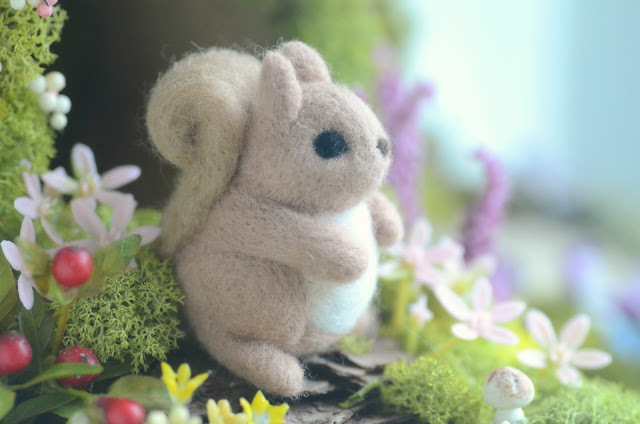 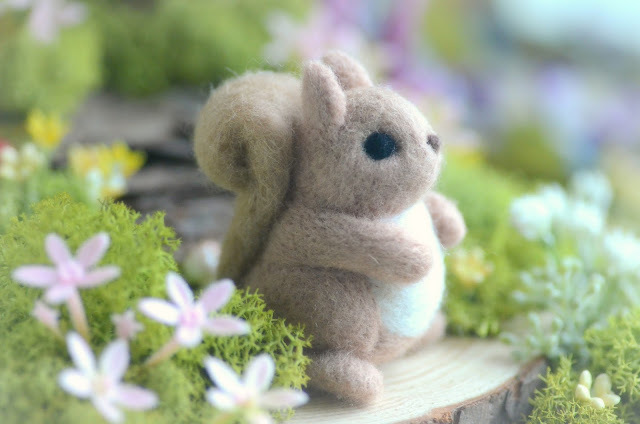 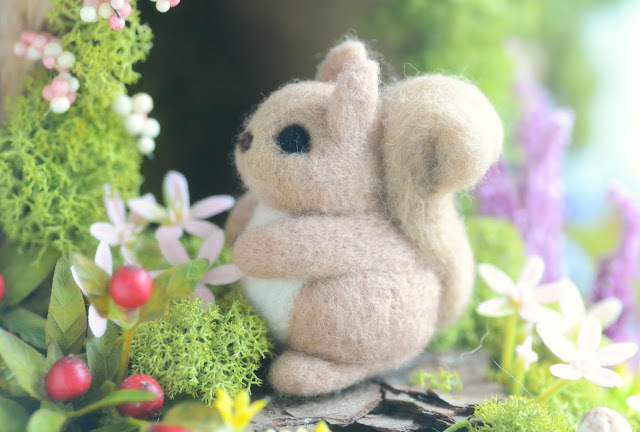 So I started to make some needle felted squirrels lately. Squirrels always look so cute with acorns or mushrooms or pine cones around. 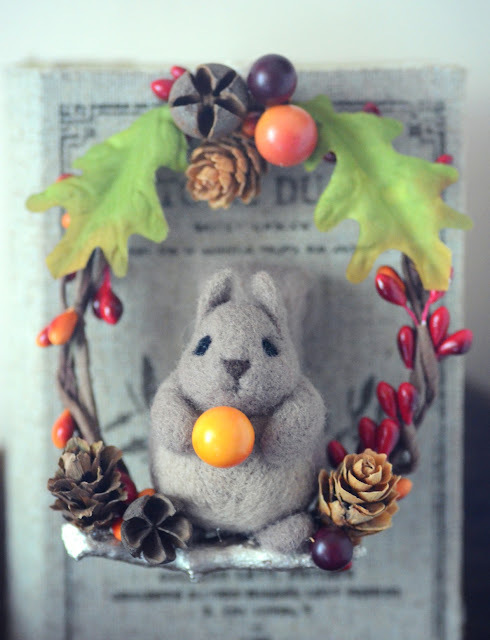 I made a jewelry holder using an empty picture frame and BBQ net today. 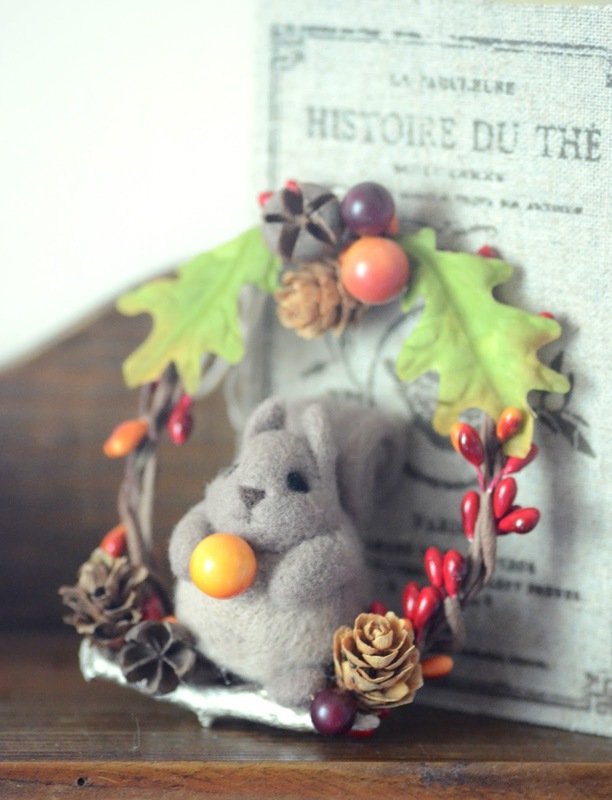 Pinterest always give me wonderful crafting ideas.